Welcome. Friends of Tampa Firefighters! Some of our State Certified Classes that we give. Firefighting Tactics and Strategies 2 covers multiple fire company operations, logistics, strategy, use of mutual aid forces and conflagration control. The course is intended for officers who may be in command of fires and other emergencies involving close coordination and maximum use of large amounts of manpower and equipment. Typical tactical situations and case histories are given. 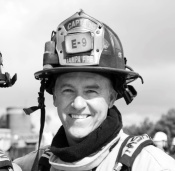 A study of fire inspection practices, including such items as purpose; definition; Fire Prevention Bureau activities; hazards; fire behavior; fire causes; types of construction including structural features, flame spread, occupancy and fire-load; inspection techniques; conducting inspections. The objectives of the course are to teach participants: to classify, identify, and verify known and unknown material by using field survey instruments and equipment; to select and use the proper chemical protective equipment provided to the hazardous materials Technician….. The primary purpose of Friends of Tampa Firefighters, Inc. is to raise funds which will be used to establish firefighter memorials, dedications and programs benefiting the Tampa Bay area. Funds will be raised through corporate sponsorships and individual donations. The organization will also offer training programs and provide logistical support, including audio/visual equipment, classroom space and subject matter experts to raise the level of competence of area firefighters. Funds generated through enrollment fees for such programs will be used to defray the cost of the programs and to underwrite the charitable endeavors of the organization. Tampa Fire Rescue has a tradition of over 116 years of excellent service to the community and the citizens we serve. We are very proud of our service delivery and the professionalism we bring in an emergency. Friends of Tampa Firefighters Inc.
All three classes are posted on the Friends website. Please register so that we can get a head count of how many students will be attending. If you don't register, there is a possibility that the class could be cancelled/postponed. We are pleased to announce that FOTFF is offering Construction Documents & Plans Review in May, Building Construction for the Fire Service in June, and Codes & Standards in July. As always, all classes are approved for State credit and will apply to the appropriate certifications/renewals. Friends of Tampa Firefighters Inc. updated their profile picture. Friends of Tampa Firefighters Inc. updated their cover photo. A new Class has been posted. 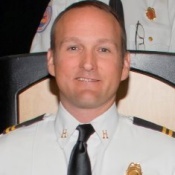 Florida State Certified Instructor III and holds Florida State Certifications as Fire Officer II, Firesafety Inspector I, Hazardous Materials Technician, Live Fire Training Instructor I, Pump Operator and Paramedic. 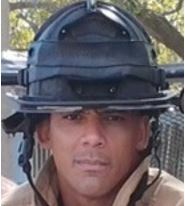 Florida State Certified Instructor I and holds Florida State Certifications as Fire Officer II, Fire safety Inspector I, Live Fire Training Instructor II, Pump Operator and Paramedic. You can donate funds to us anytime.